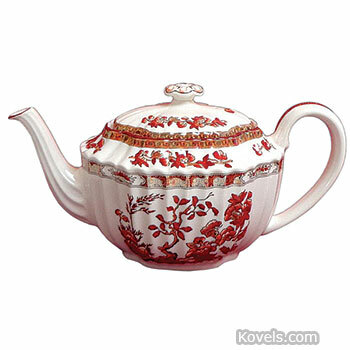 Indian Tree is a china pattern that was popular during the last half of the nineteenth century. It was copied from earlier Indian textile patterns that were very similar. The pattern includes the crooked branch of a tree and a partial landscape with exotic flowers and leaves. Green, blue, pink, and orange were the favored colors used in the design. 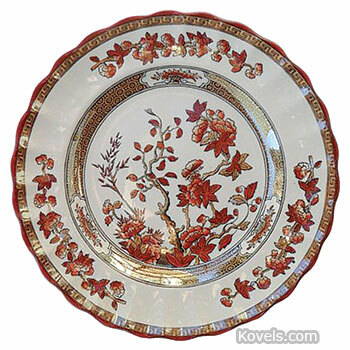 The Coalport China factory created the Indian Tree design in 1801 and it was one of the most popular designs made by the company.